Tempo 30-252, increments by standard metronome tempos or by 1 beat increments. The Korg TM50 metronome/tuner accents 1 to 9 beats plus plus duplets, triplets, triplets with middle beat omitted, quadruplets, and quadruplets with middle beat omitted. Tap feature on the Korg TM50 metronome/tuner measures beats per minute as you tap the tempo. The TM50 metronome-tuner has range of C1 through C8. Back lit screen by pressing button. Large LCD needle and led lights are used for tuning indicators. Tuning calibration of 410 to 480. A very sensitive microphone will be able to pick up most acoustic instruments while there is a 1/4" jack for electronic instruments or contact microphone (see below). When connected the Sound Back Mode will play back the closest pitch that is sounding from the connected instrument. Tuning a major 3rd above or below a pitch is now possible. The Tm50 will also generate pitches through the speaker or headphones of C3 through C6. Size: 4.4" x 3" x 3/4". Weight 4 oz. Includes two AAA batteries - approximately 50 - 70 hours of use. Earphone jack included - 3.5m. (earphone not included). The Korg Ma30 digital metronome is packed full of features. The Screen of the Korg Ma30 metronome has a pendulum that swings back and forth, volume control, and tuning features. Another great feature of the Korg Ma 30 metronome is the tap feature. Franz are the only metronomes made in the USA. They carry a one year warranty and repairs are available after one year. The Franz Xb700 is a very loud metronome, with accenting and half time/double time. The Franz Xb750 metronome/ tuner is identical to the Xb700 except that it has a switch to generate pitches. The keywound metronomes with a swinging pendulum let you see the motion of the beat. The bell models will also accent the first beat with a bell sound. The keywound models give the most natural sound of all the metronomes and are very pleasing to the ear. The Taktell Mini is a great metronome for portability, but the sound is louder on the Taktell Piccolo or Standard Models. Using the keywound models is simple and with winding the key about 8 -12 times the sound should last from 20 to 30 minutes. The plastic standard models are identical to the standard wood model... except for the case which is wood. The wood is made from a composite wood and then finished with walnut, mahogany, or black finishes. 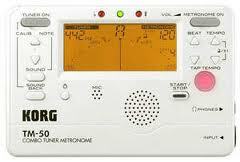 Digital Metronomes have many features and will increment the the tempo by one beat at a time. With a digital metronome you can obtan the tempos 60,61,63,64... etc. Quartz and keywound models use musical tempos to determine the increments. Need a loud metronome... the loudest are the Franz XB700 (made in USA), Matrix Mr600, and Seiko Sq70 are our loudest. 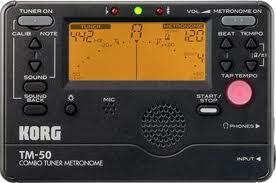 Need a very loud metronome -- for chorus, band, orchestra, large groups... look at the MetroAmp packages. For exercise, physical therapy, dog training, or golf swing... our most popular model is the Seiko DM50 Clip On.